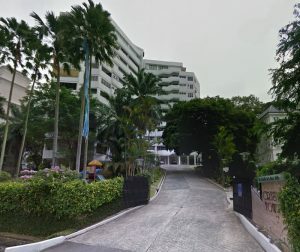 Juniper Hill condo actual site location is located at 39, 41 Ewe Boon Road around Balmoral, Bukit Timah Area. Currently Juniper Hill showflat is under construction. If you would like be informed when the show gallery is ready for visiting, kindly register here so that we can keep you informed when the show suites is open. By visiting the showflat, you will be able to know what to expect once Juniper Hill Condo is completed. This will also help you make an informed decision. Login to CPF and assess the amount of CPF you can use for your purchase of Juniper Hill. Speak with your financial banker and rate your loan eligibility. Understand how the VVIP balloting functions as well. We have the latest information on Juniper Hill As At Monday, April 22nd 2019 updated, Register to receive the price list and book showflat appointment when available! I'm interested in Juniper Hill ! Please contact me ASAP as I would like to register myself for an exclusive invitation to the show gallery & enjoy maximum direct VVIP developer privileges when it's available!